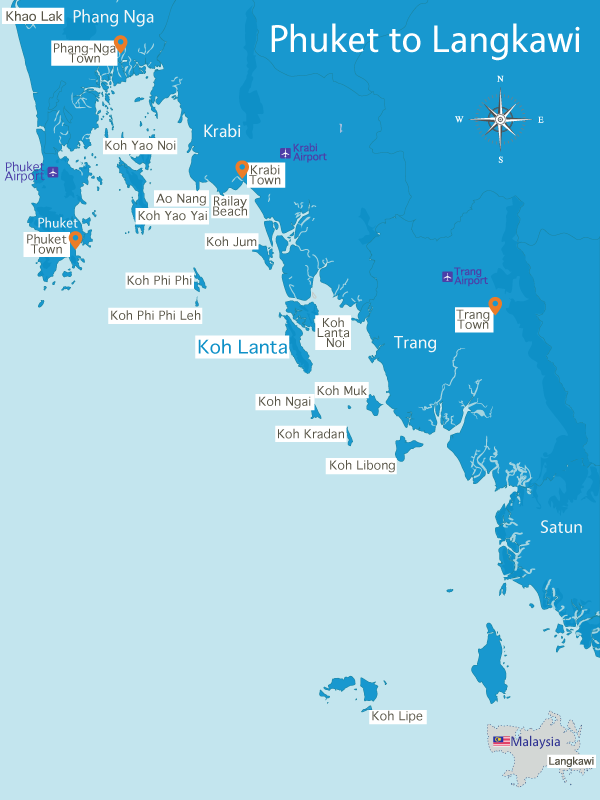 Ko Lanta is about 25 kilometres long by 3 kilometres wide. A lush mountain range separates the east and west coasts of the island. If you are looking for Koh Lanta on a map, look for Ko Lanta Yai. It is a medium-sized island on the eastern seaboard of the Andaman Sea in the southern end of Phang Na Bay near Phi Phi Island and a 4 hour ferry ride from Phuket. It is separated from the mainland of Krabi province by its sister island Ko Lanta Noi. A narrow strip of water separates the two sister islands: Koh Lanta Yai (large) and Koh Lanta Noi (small). The “little car ferry” connects the two islands. 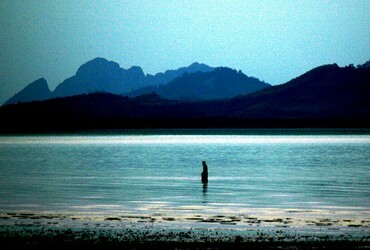 There is a larger body of water between Ko Lanta Noi and the mainland. The “big car ferry” connects Lanta Noi with the mainland. Ban Saladan and the passenger and car ferries are located on the north end of the island. Ko Lanta National Marine Park occupies the southernmost end of the island, and Lanta Old Town occupies the southeast side of the island. The mountain range that runs the length of the island is mostly dense rainforest. The west coast has many gorgeous sandy beaches between rocky outcroppings, and the east coast consists mostly of mangroves. Resorts and hotels are mostly located on the west coast. There is a large protected basin that is safe for boat moorage year-round on the east coast of the island, near Lanta Old Town in a safe harbor with full provisons. Ko Lanta enjoys a warm, humid, tropical climate year round. From November to March, the temperature is a perfect 30 to 33 degrees Celsius with only the occasional rainfall. April and May are hot, dry months where temperatures increase to the high 30s, and there is little or no precipitation. From June to October it is monsoon season. It rains for about an hour on most days, temperatures drop to the high to mid-20s, and the wind shifts from easterlies to westerlies.